A Y-class city, Bhopal houses various institutions and installations of national importance. Some of these include ISRO's Master Control Facility, the CSIR, AIIMS Bhopal, National Institute of Fashion Technology (NIFT) AMPRI, MANIT, IISER, SPA, IIFM, BHEL and NLIU. The city attracted international attention after the Bhopal disaster, when a Union Carbide India Limited (UCIL) pesticide manufacturing plant leaked a mixture of deadly gases including methyl isocyanate on the intervening night of 2 / 3 December 1984, leading to the worst industrial disaster in the city's history. Since then, Bhopal has been a center of protests and campaigns which have been joined by people from across the globe. According to folklore, Bhopal is said to have been founded by the king Bhoja of the Paramara dynasty (1000–1055 CE), who ruled from his capital at Dhar. 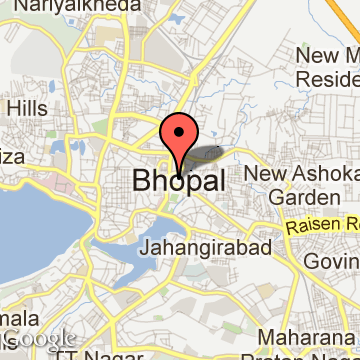 This theory states that Bhopal was originally known as Bhojpal after the king and the dam ("pal") constructed by him. No available archaeological evidence, inscriptions or historical texts support the claim about an earlier settlement founded by Bhoja at the same place, although a temple complex constructed by him exists at Bhojpur, which is located 28 km from Bhopal. An alternative theory says that the name of the city was coined from the name of another king called Bhupala (or Bhupal). (During the British Raj, the railway tickets printed in the city and the signboards on the railway station mentioned the name of the city as "Bhupal" in Hindustani and "Bhoopal" in English.) In the early 18th century, Bhopal was a small village in the local Gond kingdom. The modern Bhopal city was established by Dost Mohammad Khan (1672–1728), an Afghan soldier in the Mughal army.After the death of the emperor Aurangzeb, Khan started providing mercenary services to several local chieftains in the politically unstable Malwa region. In 1709, he took on the lease of Berasia estate, and later annexed several territories in the region to establish the Bhopal State. Khan received the territory of Bhopal from the Gond queen Rani Kamlapati in lieu of payment for mercenary services, and usurped her kingdom after her death. Bhopal Tourism - Get all information on Bhopal tourist places and sightseeing tours. Our website helps you plan your next tour and gives you great ideas on what to do, where to eat, where to stay and when to go there. We give the best information from the web to give you precise, meaningful and useful travel guide for leading places to visit in India and from across the world. Our travel information on BHOPAL tourist places, tourist attractions, major sightseeing, the best time to visit, the top places to visit in Bhopal, the must-see things to see and do, maps, restaurants, hotels, nearby tourist destinations, local public information and more. 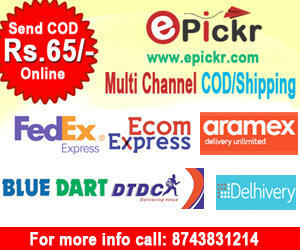 To start with check out information on how to reach Bhopal.